A guy got hit really hard in the head. 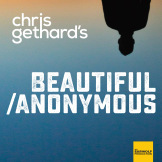 He tells Gethard all about it. This episode is brought to you by Squarespace (www.squarespace.com code: CG), Talkspace (www.talkspace.com/beautiful), Casper Mattresses (www.casper.com/beautiful), and Brooklinen (www.brooklinen.com code: BEAUTIFUL).